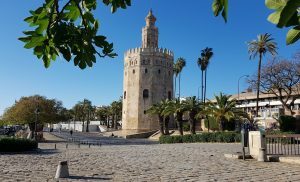 Seville (Spain) – April 8, 2019 (travelindex.com) – Delegation of Global Tourism Economy Research Centre (“GTERC” or “the Centre”) attended the 19th WTTC Global Summit at Seville, Spain to on April 2-4. Led by Pansy Ho, Vice Chairman and Secretary-General of Global Tourism Economy Forum (“GTEF” or “the Forum”), the delegation comprised of members of China Chamber of Tourism and China Women’s Chamber of Commerce. Its presence showed full support to summit host World Travel and Tourism Council (WTTC), one of GTEF’s influential international supporting units. The Forum also aimed at promoting and enhancing the awareness on GTEF 2019 among over 1,000 prominent leaders from business, hospitality, leisure, travel and tourism sectors, including renowned brands such as Hilton, Royal Caribbean Cruises, Stewart Grand Prix, Jones Lang LaSalle, TUI Group and Mastercard, etc. Among the prestigious summit speakers were Barack Obama, the 44th President of the United States of America; Zurab Pololikashvili, Secretary General of the World Tourism Organization (UNWTO); Pedro Sánchez, President of the Government of Spain; and Gloria Guevara, President and Chief Executive Officer of WTTC and Honorary Chairman of GTEF, to name a few. GTEF is the top-notch international exchange and cooperation platform designed to promote sustainable development of the global tourism industry with a focus on China, utilizing Macao as a bridge between China and the world to connect people and forge partnerships, as well as a strategic tourism hub of the Guangdong-Hong Kong-Macao Greater Bay Area. Year-round efforts are made to deepen mutual understanding and exchange views with key public and private tourism stakeholders across the globe through participation of major industry events, roadshow and trade visit. During the summit, the delegation attended a meeting with Secretary General Pololikashvili of the UNWTO. Before departing to visit GTEF 2019 Partner Countries Argentina and Brazil, the delegation initiated a meeting with Gustavo Santos, Minister of Tourism of Argentina. Scheduled in MGM COTAI, Macao on October 13-15, GTEF 2019 will present the theme of tourism and leisure, wellness and sports, and bring in Argentina and Brazil as Partner Countries and Jiangsu as Featured Chinse Province. Ministers of sports, culture and tourism, top international corporate leaders and experts will gather together to discuss latest tourism policies and trends, analyze the implications to future tourism development from the pursuit of healthy lifestyle among millennium consumers, and share the success stories that integrate tourism, recreation, leisure and sports elements. GTEF 2019 strives for inspiring delegates to think of new ideas and innovative models, fostering broader industry cooperation, and catalyzing the transformation and upgrading of tourism products and service experiences. GTEF’s multiple-purpose platform offers an exciting program of keynote and panel sessions, bilateral meetings, business matching, exhibitions, workshops and cultural activities for tourism stakeholders worldwide to seize the immense opportunities from the exponential growth of tourism and leisure, wellness and sports, and capitalize on the intriguing interplay potential of China-Latin America tourism market. Stay tuned for more information about GTEF via www.gte-forum.com and its social media channels. Since its inception in 2012, GTEF has successfully established itself as an influential high-level cooperation platform to promote sustainable development in the global tourism industry with a focus on China. To date, GTEF had received more than 10,783 participants from 89 countries and regions, including delegations from 147 provinces and cities of Mainland China; and 570 internationally renowned speakers.